My artistic practice investigates the tensions between physical boundaries (space as it is experienced) and virtual boundaries (space as it is represented). 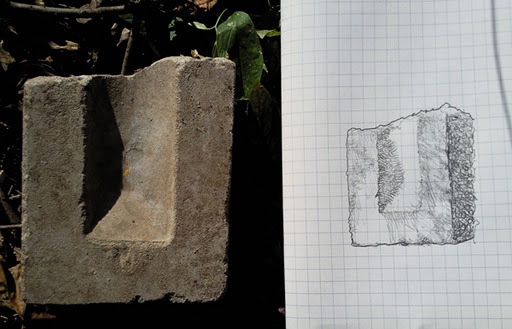 Mapping traditionally conveys a stable relation between physical territory and occupation of that space. More recently however, mapping practices – actions and performances – have tended to undermine the impression of stability. A particular instance of this kind of tension became apparent on one of my recent excursions: We all know that the green hue on a map generally indicates a forested area or parkland, while purple or pink often indicate an urban or commercial district. Additionally, the map is an effective instrument for demarcating what’s public and what’s private, what’s open, what’s closed, what’s conserved, what’s not. Now imagine my confusion when I was standing in a field of bark where all the trees had suddenly vanished. What surprised me most about this scene was the thoroughness with which every kind of species had been removed, leaving no trace of trunk, bow or branch. A little unusual for conservation parkland I thought, particularly in light of the general rule-of-thumb that says: when a tree falls, leave it there to settle back into the earth. 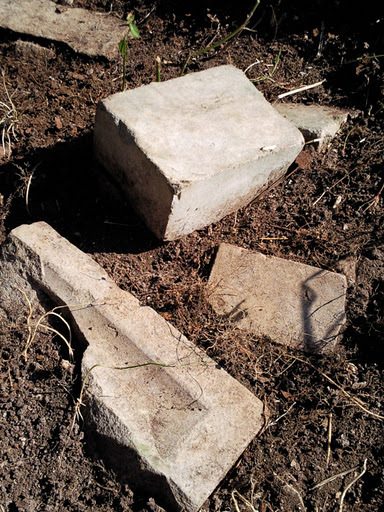 Walking through the aftermath, I couldn’t help but notice all the leftovers of old brick, sticking up out of the ground like remnants of some bygone era; the Toronto Brickworks had once produced brick for most of Toronto and the surrounding area. 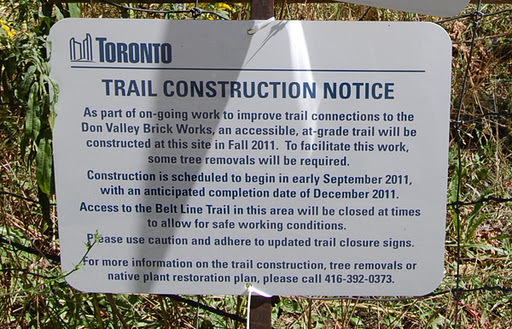 This acre or so of land is situated in the Don Valley, along the Belt Line Trail just behind the restored warehouses of Toronto Brickworks, now a popular heritage attraction. quality-controlled production, cost-effective practice, labour-saving method, countless copies, widely available commodity. For the installation, I wanted the bark to appear as if it had been fabricated, and the brick to appear as if it had been discovered.